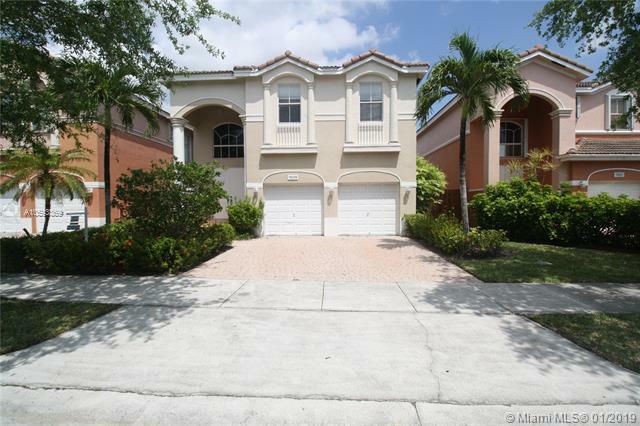 SPECTACULAR TWO-STORY HOME IN DORAL DUNES. BEAUTIFUL POOL IN A FENCED PATIO WITH A BREATH TAKING VIEW OF GOLF COURSE. MEMBERSHIP TO DORAL PARK COUNTRY CLUB INCLUDED IN RENT AS WELL AS POOL MAINTENANCE. FIRST FLOOR, STAIRS AND UPSTAIRS WALKWAYS TILED. CARP ET ON ALL BEDROOMS. ACCORDION SHUTTERS.